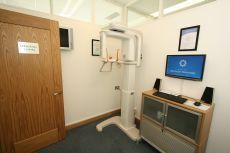 Digital low dose panoramic and intraoral X-ray equipment to diagnose and plan your treatment. Full CT/CAT scanning service available in the Beacon Hospital 3 minutes walk away. CT scan reported by qualified Radiologists. In house laboratory to reduce the time between appointments and reduce overall treatment times & Costs. Fully purpose built sterilization area and rigorous sterilization protocols which allows us to give you consistent, traceable and excellent levels of cleanliness. Intraoral cameras and digital photography to demonstrate, document and explain treatments. Paperless office, we will email you with treatment plans & appointment reminders. Your charts and records are stored digitally. We are registered with the data protection commissioner to ensure the privacy of your data. We have an entertainment system for patients while undergoing treatment. 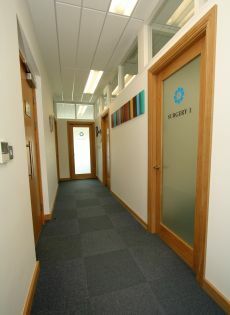 Our clinic is fully wheelchair accessible including rest rooms. We will not keep you waiting and we will stick to your time schedule wherever possible. Late evening and Saturday appointments available. Patient comfort is our priority. Our recovery room allows patients, undergoing treatment under sedation, to relax in private until they are ready to go home. 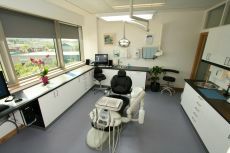 Our surgeries are bright and spacious with views of the Dublin mountains. We are 20 minutes from Dublin city centre, 20 minutes from Bray and easily accessible off exit 14 of the M50. Colour corrected lights to ensure accurate shade matching of crowns, bridges, veneers and implant restorations. Personal service, Our clinic is designed to provide the environment to treat you in a fast, efficient and quality manner.